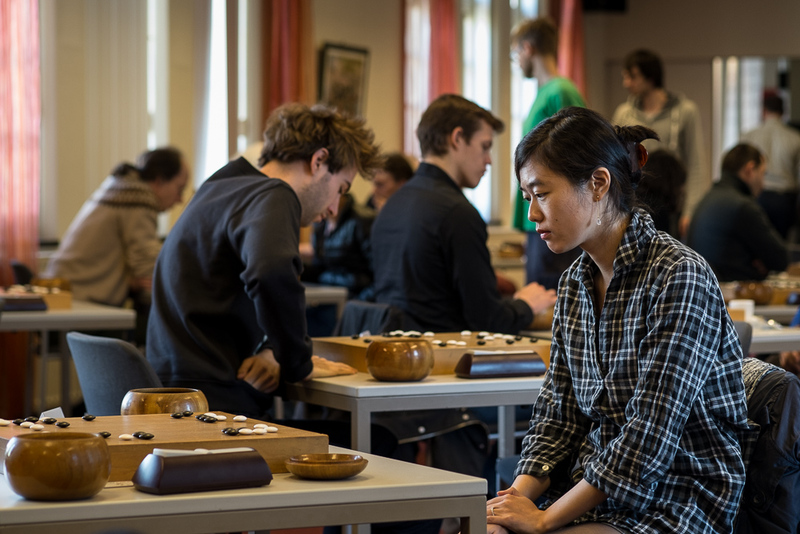 With its first edition taking place in 1971, this is one of the longest running go tournaments in Europe. The event is held over 4 days, starting on Ascension day, with a unique time setting of 90 minutes per person, per game. It takes place in the European Go Cultural Centre in Amstelveen (address: Schokland 14) and is co-organised by the Dutch Go Association and the EGCC. 7 rounds McMahon, 90 minutes + 1 x 30 seconds byo-yomi. Japanese rules, 6.5 komi. 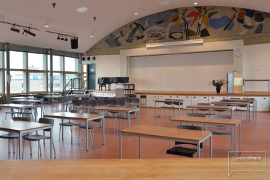 Registration and the first round take place on Thursday. On Friday, Saturday and Sunday there are two rounds per day. 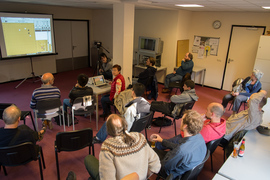 EuroGoTV will be present to live broadcast the top boards on KGS. There will be two official commentators: DeepMind ambassador Fan Hui 2p and Rob van Zeijst 7d, both multiple-times European champion. During the event they will provide public game commentaries and a simultaneous. Feel free to approach them during the breaks of the tournament, they will happily review your games with you. On the evening of opening day of the tournament, Fan Hui will present a lecture about the AlphaGo Teaching Tool. For this special occassion, there will also be a screening of the documentary film AlphaGo. For further information, see Program below. 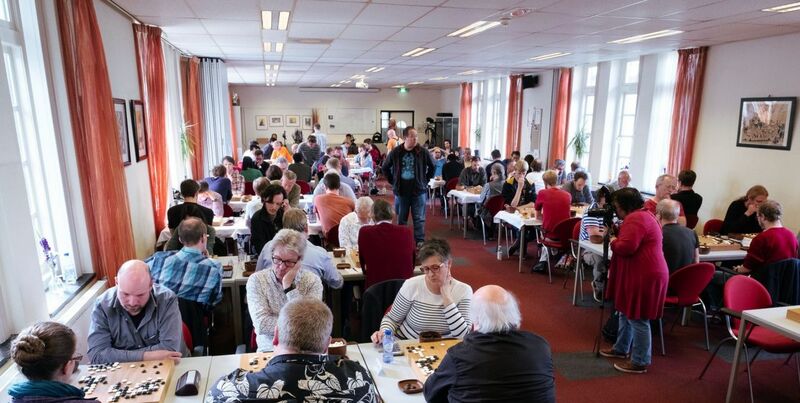 20:00 – 23:00 Blitz tournament for early arrivals at the location of the Amsterdam Go Club: Café Batavia 1920, Prins Hendrikkade 85. The tournament is organised by the club, is open to anyone and free of charge. Register Early to get the best price! Condition: You must register and pay in advance. If you register and pay at the door, the rate is €60 for all events, €40 for just the weekend. Exception: Registrants from countries where it is difficult and/or expensive to transfer money to the Netherlands may pre-register online and pay cash at the door, and will pay the locked-in price that was current at their time of registration. 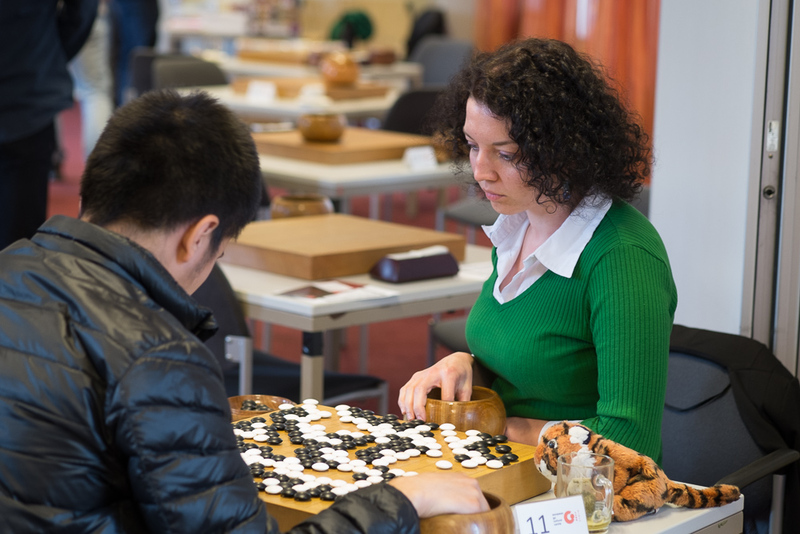 - There is a SPECIAL DISCOUNT for participants of the European Pair Go Championship that takes place in Groningen from 25-26 May. If you take part in this event and the AIGT, your entry fee is reduced by 15 euros! If you wish to use this discount, please make a note of it during registration. - There is a discount of €5 for all players aged under 18 and/or ranked as double digit kyu (10 kyu or weaker). - There is a discount of €5 for members of the Dutch Go Association (NGoB). These discounts add up. For example, if you are both under 18 and a member of the Dutch Go Association, your total discount is €10. Discounts apply to any base price, for the main event or for weekend only registrations. Participation in the Rapid Tournament is free for participants of the Main Event. For players who only play the weekend of the Main Event, the Rapid costs an additional €5. If you only want to play in the Rapid Tournament, the participation fee is €10. Total prize money at the top of the tournament: 1800 euros. Additionally, there will be goodie prizes for players with 5-7 wins out of 7 games. A free blitz tournament for early arrivals will be held on Wednesday evening in Cafe Batavia 1920, Prins Hendrikkade 85, Amsterdam (across the street from Amsterdam Central Station). 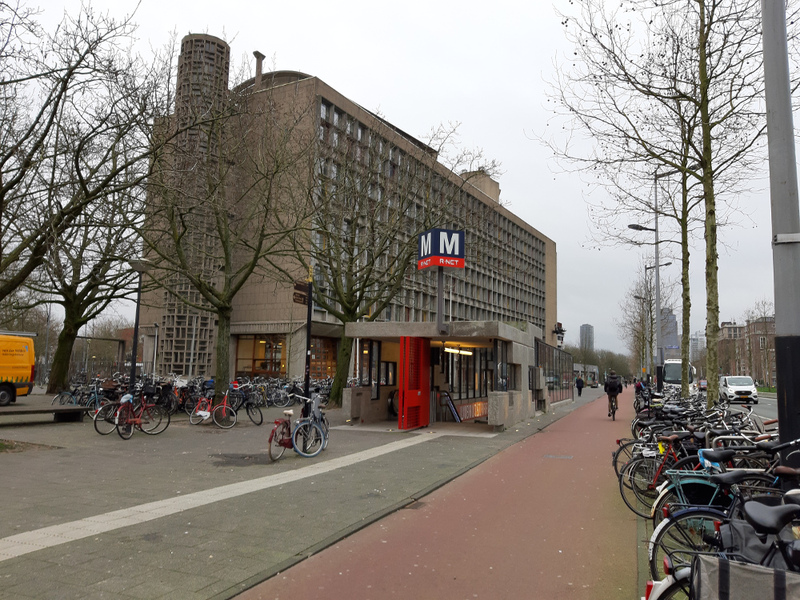 This is the location of the Amsterdam Go Tournament, where it is possible to enjoy a nice pub meal before the start of the blitz. On Friday and Saturday evening, a Rapid Tournament sponsored by DNM-ICT will be held. Thinking times of 25 minutes per person, sudden death (!). 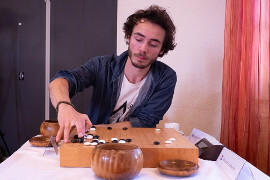 Friday evening there will be three qualifier rounds, Saturday evening will have the best 8 players playing in the Quarter-Finals, Semi-Finals and Finals. Participation is free to anyone who is registered for the main event, costs €5 extra for weekend-only participants, or €10 as a single event. NOTE: The Rapid Tournament does not count for EGF rating points. 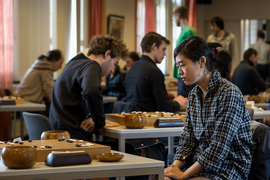 The Amsterdam International Go Tournament has been part of the European Grand Prix cycle since its inception in 2014. The European Grand Prix is a series of tournaments that takes place from 1st of January until the 31st of December each year. 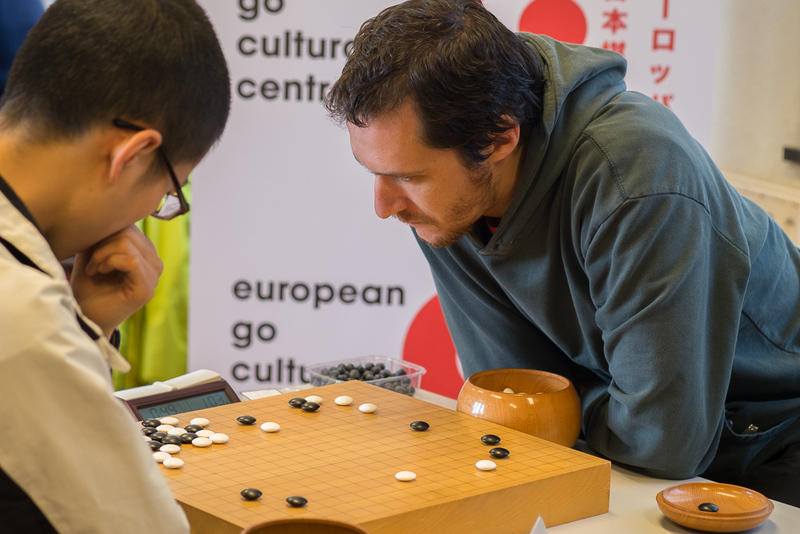 The idea of the Grand Prix is to have a system honouring / measuring the performance of active Go players. Have a look at our Facebook page for pictures and tournament updates. 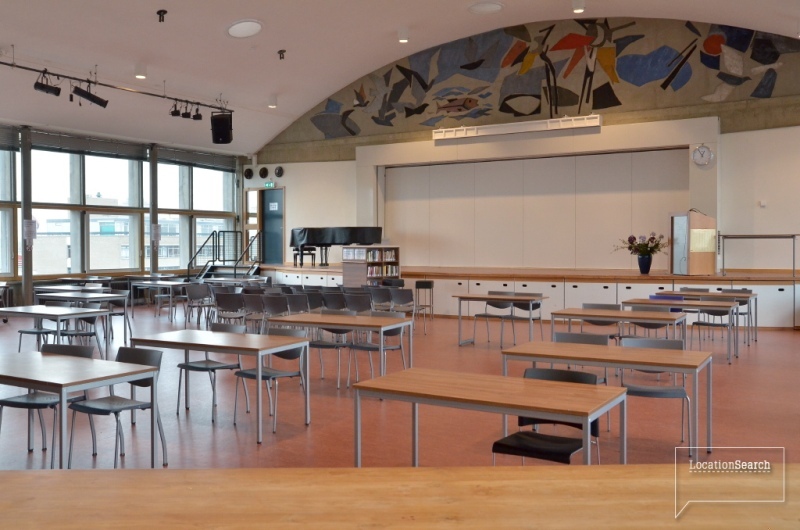 It is recommended to arrange your accommodation in Amsterdam as early as possible. The city is visited by many tourists and whatever kind of place you are planning to stay at will be overbooked during the period of the tournament. Our recommendation for cheap facilities is camping site Het Amsterdamse Bos. This camping is not far from the tournament site. Prizes range from about € 10,- to € 25,- p.p.p.n. for tent, caravan and camper sites and cabins, chalets and cottages. Another possibility would be Camping Zeeburg, tel. : +31-20-6944430. Prices range from about € 11,50 to € 27,- p.p.p.n. for tent, caravan and camper sites and cabins, chalets and cottages. The Flying Pig, Vossiusstraat 46 (Vondelpark), tel. +31-20-4004187 or Nieuwendijk 100, tel. +31-20-4206822. Starting at € about 26,-. Stayokay, Zandpad 5 (Vondelpark), tel. +31-20-5898996. Starting at € 32.50. The Globe, Oudezijds Voorburgwal 3, tel. +31-20-4217424. Starting at about € 35.00. There is a limited number of private accommodations, so please ask us in advance. You can also have a look at www.couchsurfing.com. Prices start at about € 45 p.p.p.n. 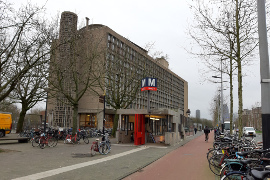 We can recommend the Abina Hotel, Amsterdamseweg 193, Amstelveen, tel. +31-20-6401101. Prices in the city centre start at about € 50 p.p.p.n. Hotel Kap, Den Texstraat 5b, tel. +31-20-6245908. Hotel Asterisk, Den Texstraat 16, tel. +31-20-6262396. Budget Hotel Euphemia, Fokke Simonszstraat 1-9, tel. +31-20-6229045.